It’s something of a novelty to grab a few drinks after work in Barcelona. Perhaps because it’s a small city and dinnertime is around 10pm, most people head home before heading out. Nonetheless, and in part no doubt the result of the influx of foreigner residents, Barcelona now features regular “afterwork” events almost every day of the week. The concept of a bit of free food plus entertainment takes a new twist at Vegetalia, who operate both restaurants and manufacture a wide range of organic products. 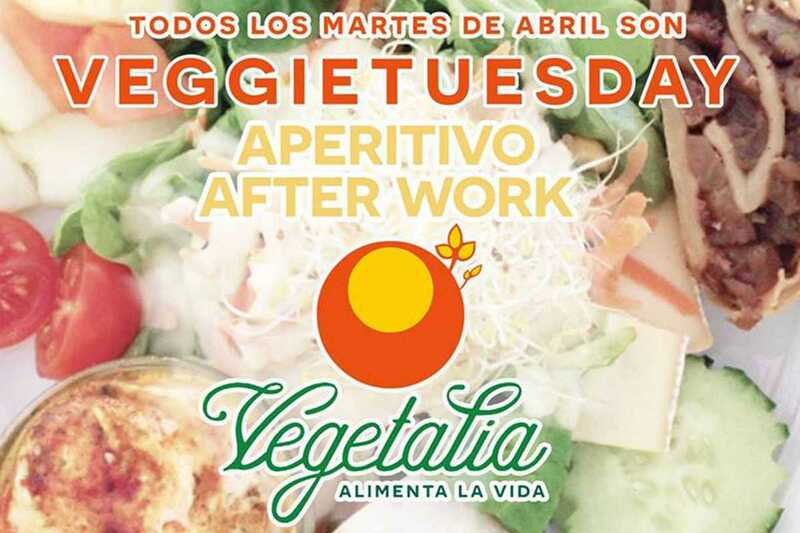 Every Tuesday in April, their Raval location is offering up live music and a free selection of 100% vegan cuisine.